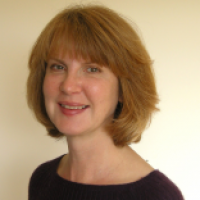 Dr Anne Ward is a Leading Consultant Dermatologist with over 25 years' experience. In 2016, she was elected President of the Midlands Dermatological Society. She qualified from Queen's University of Belfast in 1987, coming first in her year. Her dermatology training took place in Belfast, Birmingham and Bristol before her appointment as Consultant Dermatologist at Cannock Chase Hospital. As the mother of 2 children, Dr Anne Ward seems to spend quite a lot of time organising their social diary and running a free taxi service. In between times, she tries to read, sew and meet up with her own friends! British Association of Dermatologists and British Photodermatology Group guidelines for topical photodynamic therapy. Adverse effects of topical photodynamic therapy: a consensus review and approach to management. Conventional and combination topical photodynamic therapy for basal cell carcinoma: systematic review and meta-analysis. Invited Presentations at GP Educational Meetings. Patient Experience Surveys (NHS and Private) show that 100% patients thought that  they were treated with Privacy and Dignity,  they were given the opportunity to discuss their problem and  their views were listened to. Testimonials are available on the website. Peer Review, Audit Reports, Infection Control Reports, Clinical Outcome Reports, Quality Performance Reports and Equality and Diversity Reports are available each year.